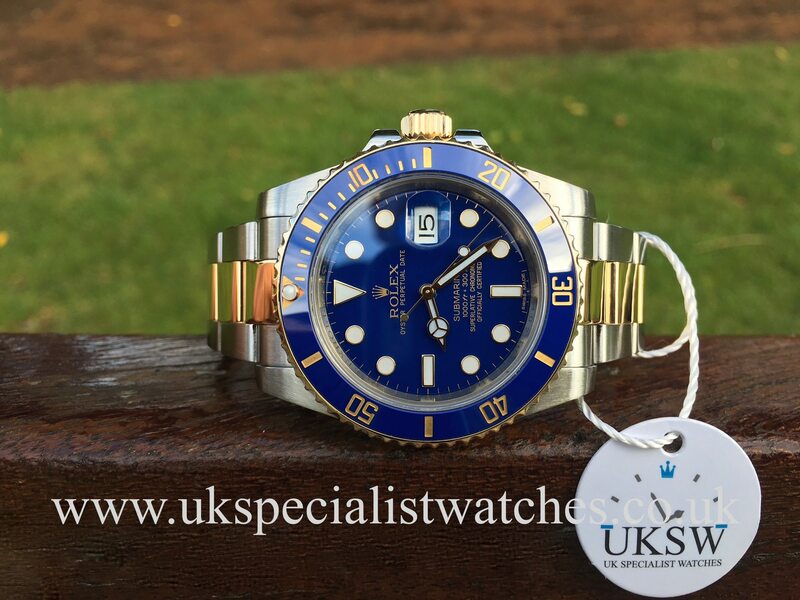 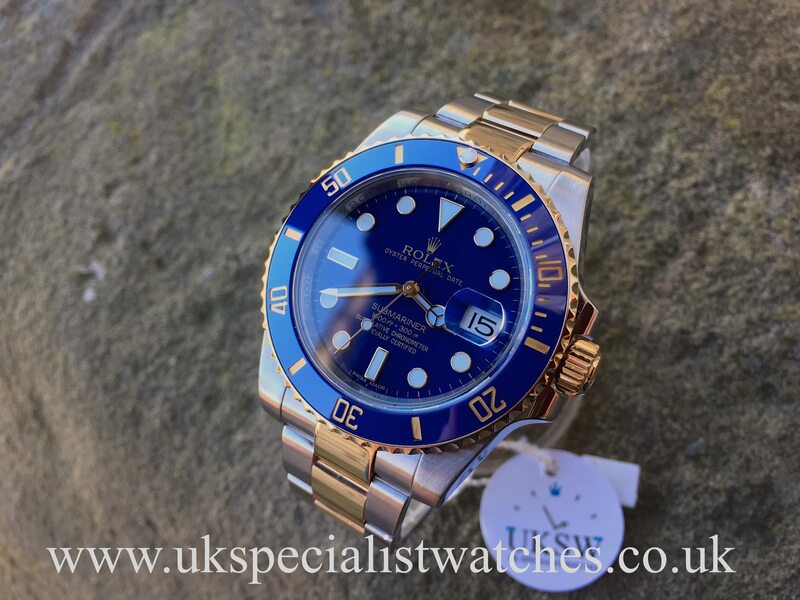 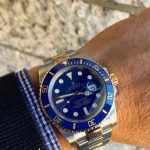 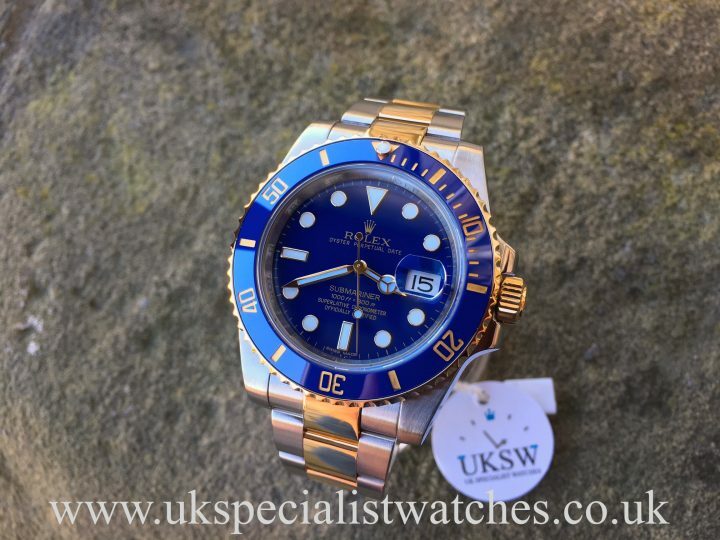 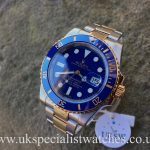 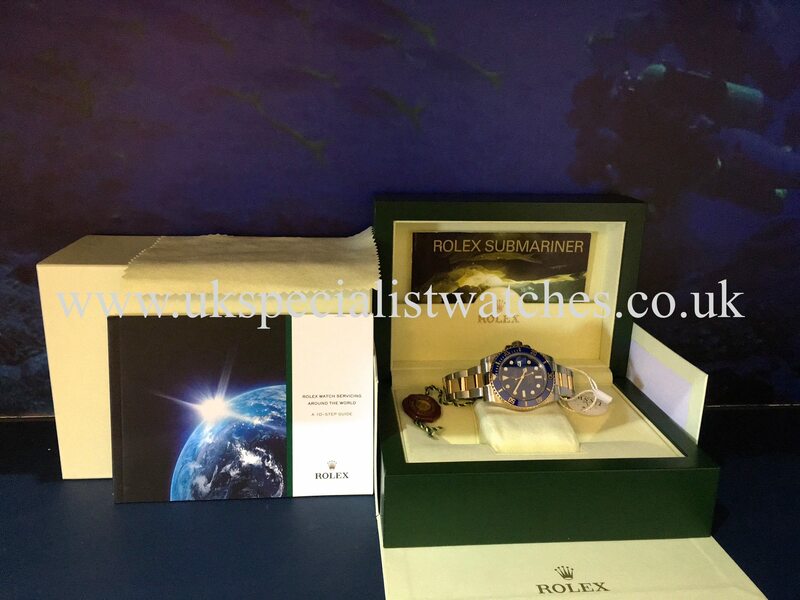 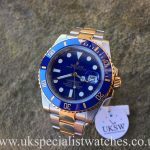 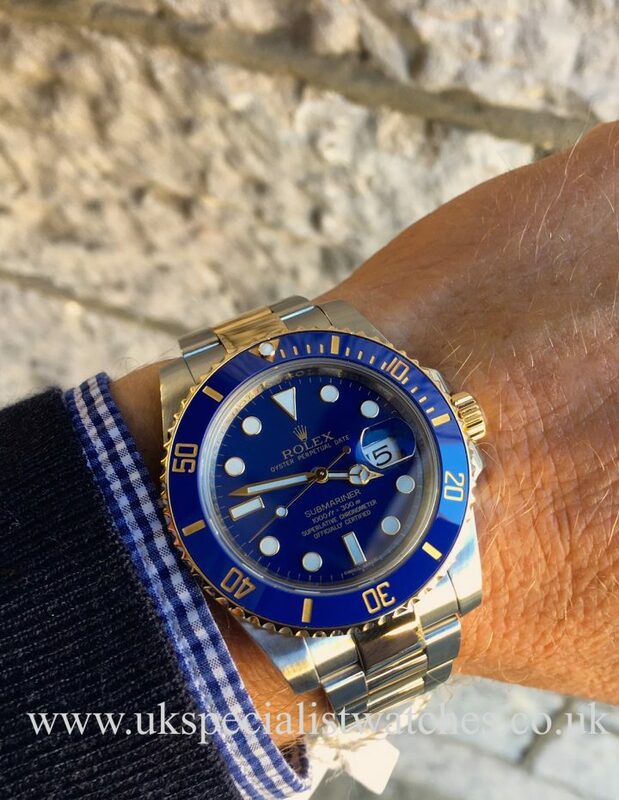 Rolex Submariner 116613LB. 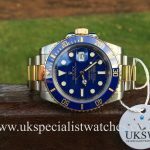 Stainless steel and solid 18ct Gold with the rare and collectable “blue Smurf Dial” Date displayed at the 3 o’clock position. 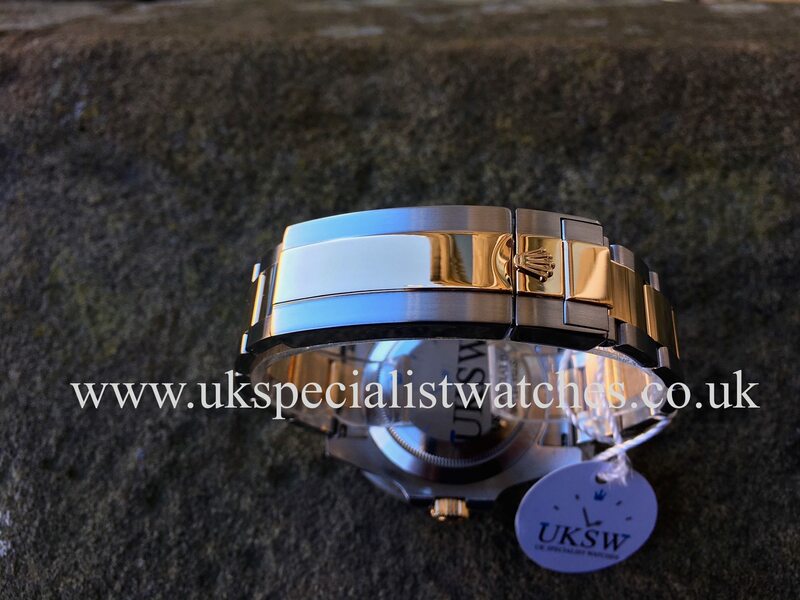 40mm new model larger chunkier stainless steel case. 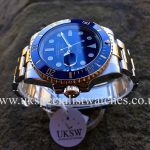 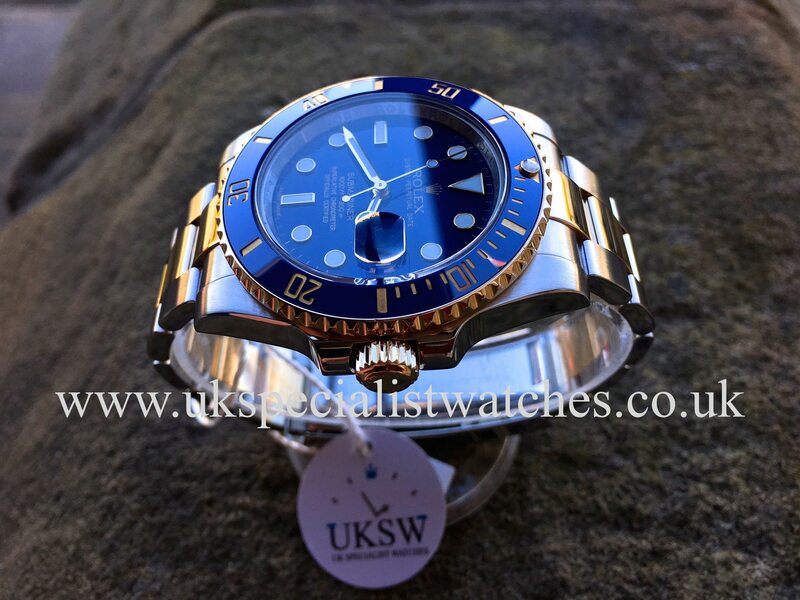 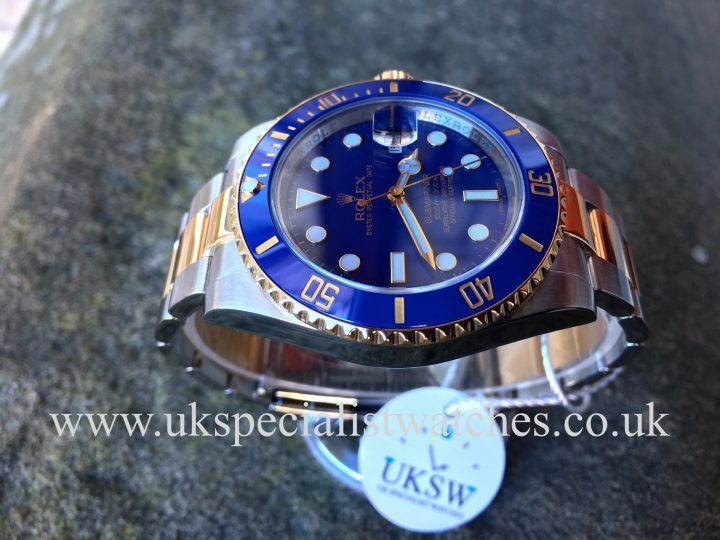 Solid 18ct gold bezel with the ceramic blue bezel insert, sapphire crystal glass and water resistant to 300 meters. 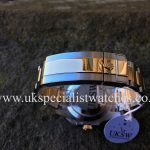 Fitted to the latest style Bi-Metal Oyster bracelet with Glidelock double folding clasp. 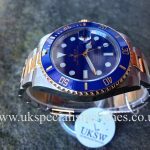 The blue “Smurf” dial had a short production run before it was discontinued for the sunburst electric blue dial now featured on the latest models, thus making the Smurf dial models highly collectable! 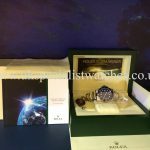 Comes with original boxes, swing tag and booklets. Supplied new circa 2012.